The ProWarm™ standard drain for use with ProWarm™ wet room Shower Trays, includes a standard stainless steel grate. The horizontal drain comes with a 2" solvent pipe. 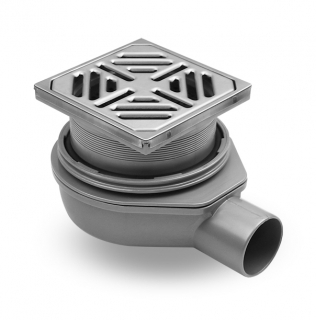 It is compatible with both 2" British standard pipes and 1 1/2" inch non-British/EU standard pipes.